way out in the country. and she was strong and well built. This is a seemingly simple story of one Little House, but there is a lot going on. The sun, moon, and stars go by. Seasons change. Children grow up. A city moves in. A house moves out. Curiosity is satisfied and a happy ending is finally reached. The pictures are so beautiful and so very peaceful. I remember looking through it as a kid over and over again and am happy the boys really like it too. 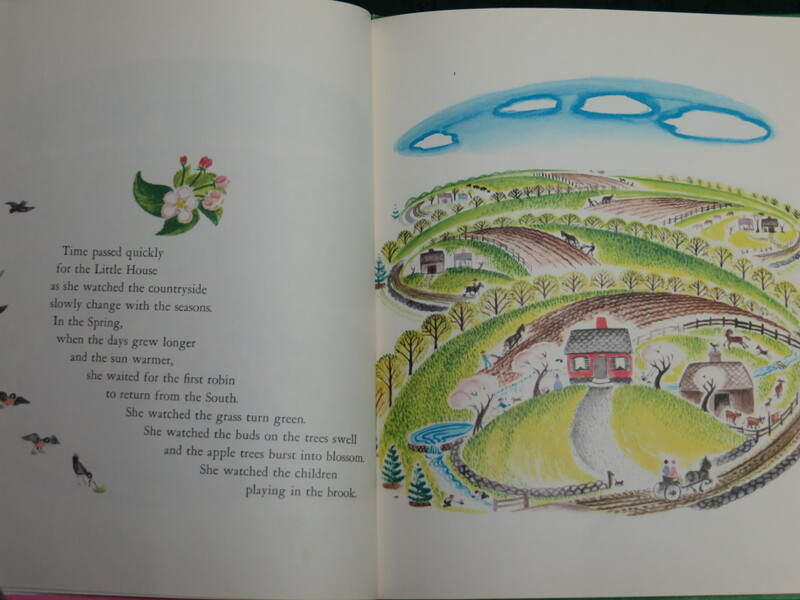 This entry was posted in Picture Books and tagged Caldecott Medal, city, I read this as a kid, Machines, The Little House, Virginia Lee Burton. Bookmark the permalink.